Churches who set goals may get a bad rap. On the surface, setting goals does sound like a business practice or self-help tactic void of any biblical relevance. But that’s not the case at all. In this post, we want to share with you five goals you and your church should prayerfully consider to help you manage steward your resources well. What can you do this year to reach more people in your community? When you answer this question, fight the temptation to think about starting a new ministry first. Challenge yourself, your staff, and volunteers to make new friends in your community. If you and your leaders set an example, then, over time, you will create a culture of evangelism. Now, this doesn’t mean you can’t start a new ministry or partner with an existing parachurch organization in your town to serve and make new connections. But, starting something new when the culture of your church isn’t ready to embrace the change will not lead to long-term success. Increasing your worship service attendance isn’t about "padding your stats.” It’s about leading people to hear the gospel, get connected with members of your church, and moving visitors toward committing their life to serving Jesus. Building on a culture of evangelism, make plans to lead more people to your worship services. For many people unfamiliar with Christianity, this is the first step many of them will take. From optimizing your website, equipping your members with tools they can use to invite others, to making visitors welcome during your announcements, go ahead and prepare to have visitors present. Does your church offer small groups? Do you provide Sunday School classes? Do you have a weekly service or event visitors can attend? What is the next step a visitor can take that will help him or her get connected? People will visit your worship services for a variety of reasons, but it’s the relationships they make that will encourage them to stay. Set a goal to make sure that a significant percentage of visitors are connected to the people in your church. As your church grows, you will need to develop additional leaders to help you better serve people. You will need additional elders who will help you to oversee the church. You will need extra deacons and deaconesses who can tend to the practical needs of people. And you will need to increase the number volunteers to help out with a variety of things with your church. To help you get started, here are four ways you can develop leaders in your church. Talking about increasing your church’s giving is a touchy subject. But, as with increasing your church’s weekly attendance, when we talk about increasing your church’s giving, we’re not talking about the act of giving per se. We’re talking about building a generous church culture. To lead your church to give more, you must first lead them to Jesus. We are transformed into generous people through faith in Christ. 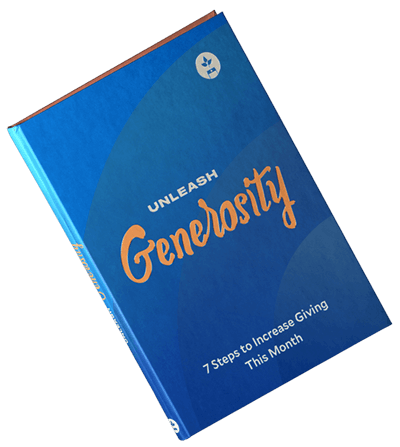 From preaching the gospel, providing financial coaching, and running short-term giving campaigns, there are many ways you can increase giving at your church. What goals has your church set this year? Share your goals in the comments below!